It sometimes seem that in the paleo world, bacon gets all the love. But what about its cousin, ham? Plain and simple ham is a great addition to soups and egg muffins, not to mention it’s delicious on its own with a homemade glaze. 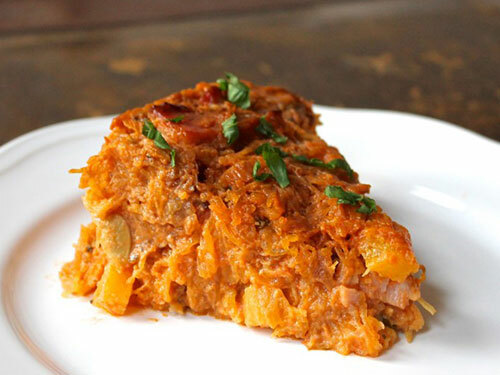 Try these paleo ham recipes! This frittata is one of the most filling and nutritious breakfasts you can make, but it’s so easy! All you need for this one is olive oil, sweet potato, salt and pepper, eggs, chopped spinach, and sliced deli ham. The measurements are approximate, too, so use what you like! This chowder is creamy with a coconut base and seasonings like garlic, leek, and lime juice. 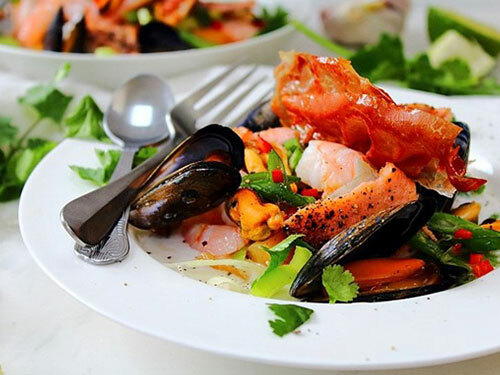 The best parts, of course, are the chunky bites of rainbow trout with tiger prawns, parma or prosciutto ham, and fresh mussels in their shells. You’ve got rutabaga, so it even has a veggie, too! Ham can be a great vehicle for eggs in general, and this super simple ham and egg cups recipe is so easy it’s hardly a recipe! I recommend garnishing with fresh basil. You don’t need to use the recommended brand—I suggest using a nitrate free smoked ham. Before holidays, the buzz in my family used to be “who’s going to pick up the ham?” That was until someone realized how easy it is to glaze your own ham! 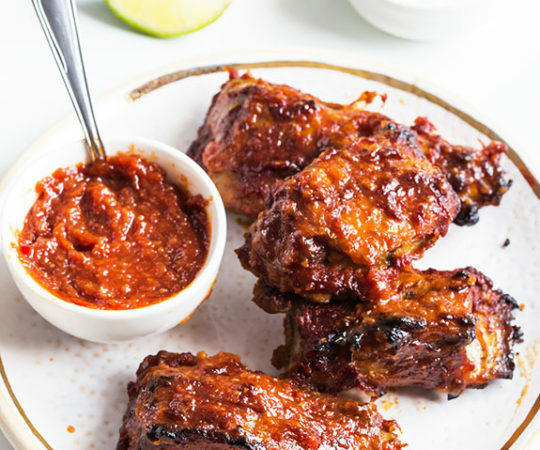 This version uses peach or apricot preserves (fruit-sweetened), honey, butter, shallots, and chipotle pepper flakes. This meaty frittata is full of flavors, including mushrooms, rosemary, oregano, and sweet potato. You can use leftover ham and turkey in whatever proportions work for you, and cook with your fat of choice. 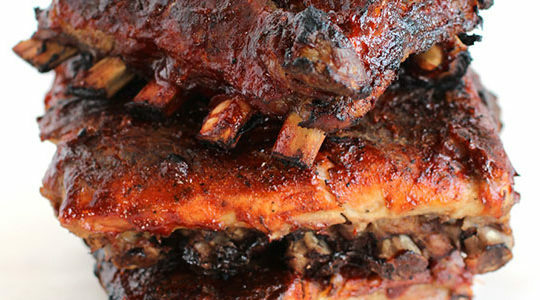 Bacon fat would definitely lend an amazing flavor to this dish. 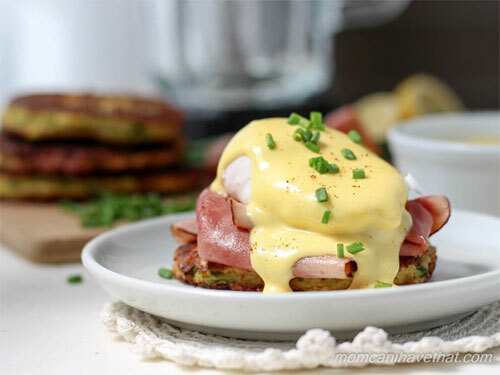 Featuring a rich but easy blender Hollandaise sauce, these easy eggs benedict has prosciutto ham and a crispy zucchini fritter base to replace the English muffin with a healthy but still-dressed-up vegetable. It’s the perfect combination of flavors and textures! This combo sounds fancy, but if you follow the ingredients and instructions, you’ll have a decadent light meal in no time. The scallops are seared and wrapped in prosciutto, and the salsa verde with avocado is the perfect tangy and refreshing complement to the flavors. For being composed of only two parts, these skewers are incredibly flavorful and you’d better make a double batch because they’re going to go fast. 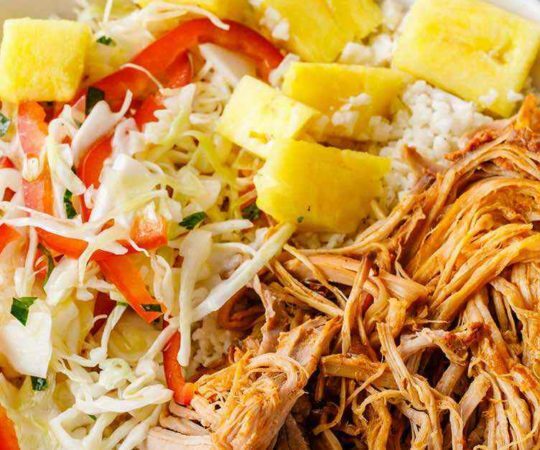 Between the ham, the pineapple, and the flavorings from fresh pineapple juice, Dijon mustard, coconut aminos, raw honey, and ginger, these will become a fast favorite. This is a unique recipe that makes a great weeknight meal, and it beloved by kids and adults alike. 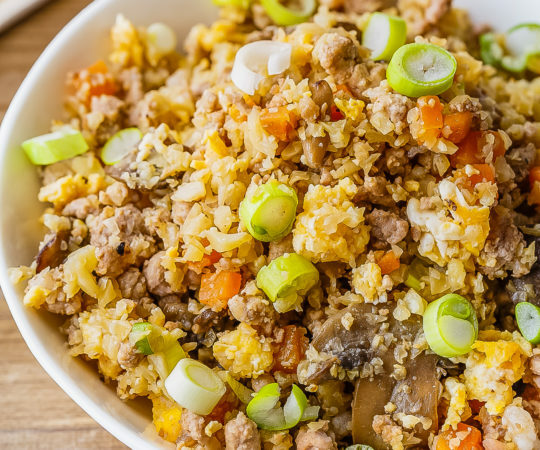 You’ll need beefsteak tomatoes, shallot, mushrooms, butter or ghee, ground lamb and diced ham, garlic, parsley, and egg. The texture is kid-friendly and the flavors are bold but agreeable to a variety of palates. 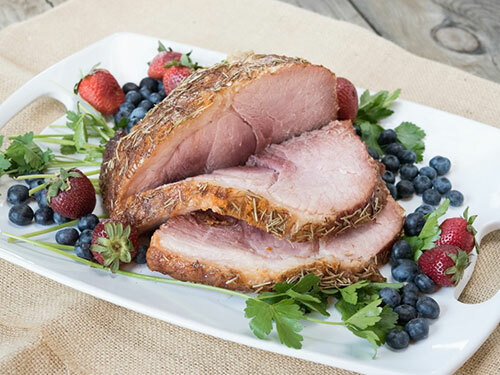 Every paleo eater should have a good slow cooker ham recipe, because they can make your holidays and big family dinners so much easier by freeing up oven space and doing all the work for you. This one has honey, orange juice, rosemary, and apple cider vinegar. 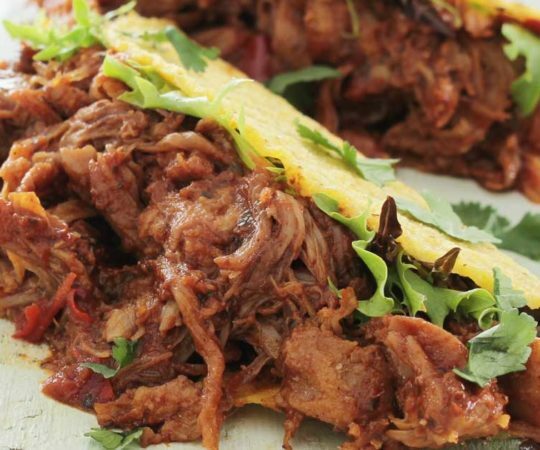 If you’re looking for a paleo recipe you can bring to a family picnic and not get any funny looks, this is the recipe for you. This ham salad uses cooked ham, paleo mayo, celery, red onion, apple, raisins, salt, and freshly ground black pepper. It’ll be a hit! This is no shortage of “egg muffin” recipes on the internet, designed to create healthy, convenient savory breakfasts once can make ahead and enjoy on the go. I love this one using thinly sliced honey ham with spinach, eggs, dried dill, and a dash of salt and pepper. If you want to fancy up your egg muffins a bit, try this version with rice cauliflower, eggs, kale, ham, salt, and pepper. Despite looking and tasting like they were complicated to make, these egg muffins are as simple as the rest. Only a few ingredients needed! This pizza pie is incredibly easy to make, and tastes remarkably similar to pizza but with no crust or cheese. You’ve got cooked spaghetti squash, ham steak, onion, pineapple, pizza/pasta sauce (make sure it’s paleo), eggs, coconut oil, fresh basil, salt, and pepper. This Cuban sandwich is, on my opinion, one of the best ways to enjoy good quality ham. It’s made with mustard, butter pickles, and homemade plantain bread. The bread is fantastic! This recipe calls for cheese but notes that you can leave it out if you don’t eat dairy. This sticky and sweet glazed ham is made with coconut sugar, raw honey, organic maple syrup, and whole cloves to stud the surface. Serve it with a homemade chutney using apples, onions, cranberries, fresh ginger, black pepper, and apple cider vinegar. Got leftover ham that needs to be used up? Try this ham and veggie breakfast skillet made with fresh spinach, sweet potatoes, onion, grass-fed butter or ghee, sea salt, freshly ground pepper, and eggs. If you want, you can swap out the butter for a fat of your choice to play with the flavors. 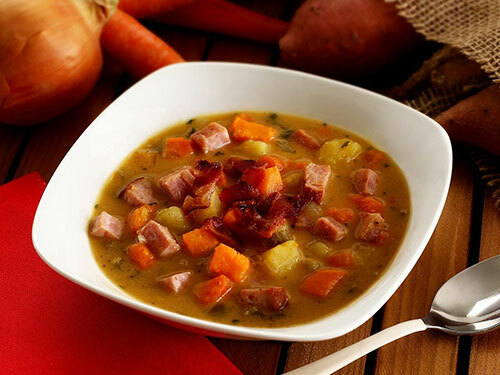 With a touch of maple syrup and mustard, this ham soup has a delicious sweet-and-spicy savory flavor you’re going to love. 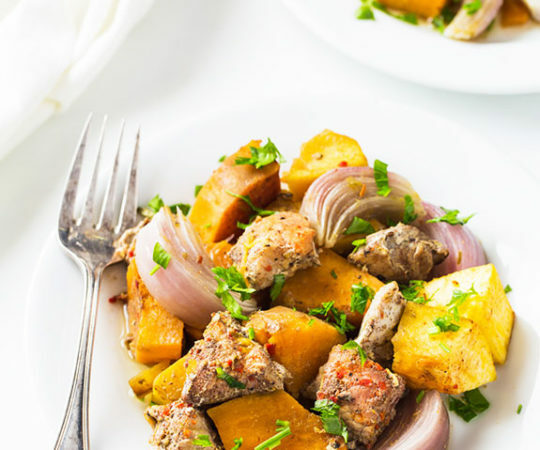 Since it’s packed with ham, sweet potatoes, celery, carrots, onion, and more, you’re getting veggies along with protein and healthy fats from the coconut milk. This pretty egg-based dish with its lovely scallops edges is made in a dish lined with thinly sliced ham or prosciutto. Coconut milk, sea salt, cracked pepper, and herbs like fresh thyme, tarragon, or chives help to develop the flavors. Still need more? Top it with paleo Hollandaise sauce. Spiced with cardamom, cinnamon, ginger, allspice, and cloves, this maple glazed ham is a real treat. Coconut palm sugar helps ensure a sticky and slightly caramelized outer “crust,” and you can plan to start this dish just a few hours before you want to eat it. These hard boiled eggs will look and taste impressive to your family and guests, but you don’t really have to do anything all that special to make them. The secret is just a microplane grater for the ham. Don’t forget the slivered basil leaves! They really complete the flavor. 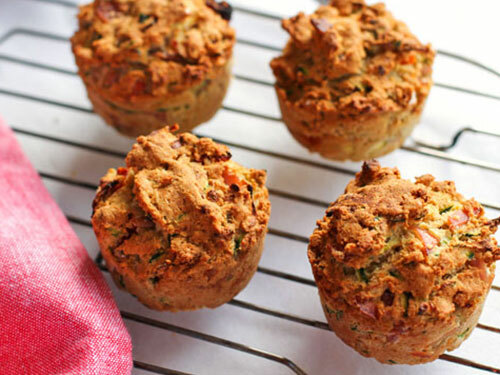 For a muffin that features ham but isn’t just egg-based, try this breadier version with tapioca, coconut, and almond flours as well as eggs, olive oil, sea salt, garlic, zucchini, chopped ham, and sun-dried tomatoes. They have an elegant flavor and a deliciously crumbly texture.